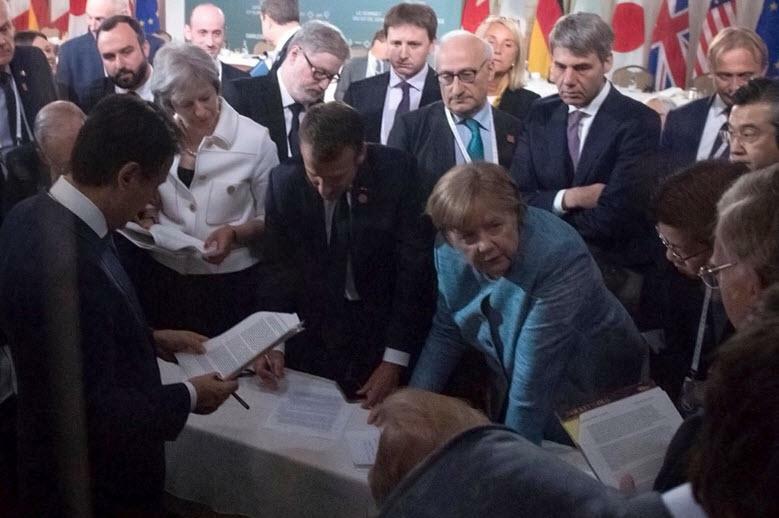 Chancellor Angela Merkel’s office released the now-iconic picture that showed her leaning over a table to confront a pouting Trump, with President Emmanuel Macron and Prime Minister Theresa May beside her. 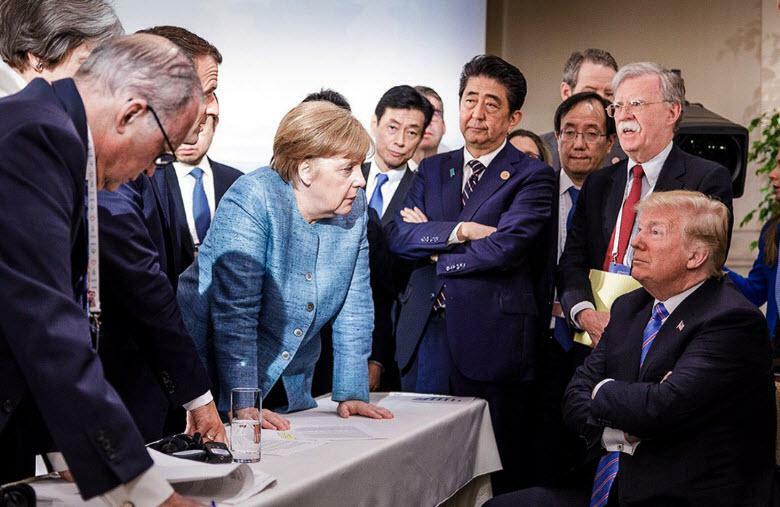 ...as with everything else in our new polarized normal, the photo did not tell the truth, the whole truth, and nothing but the truth. 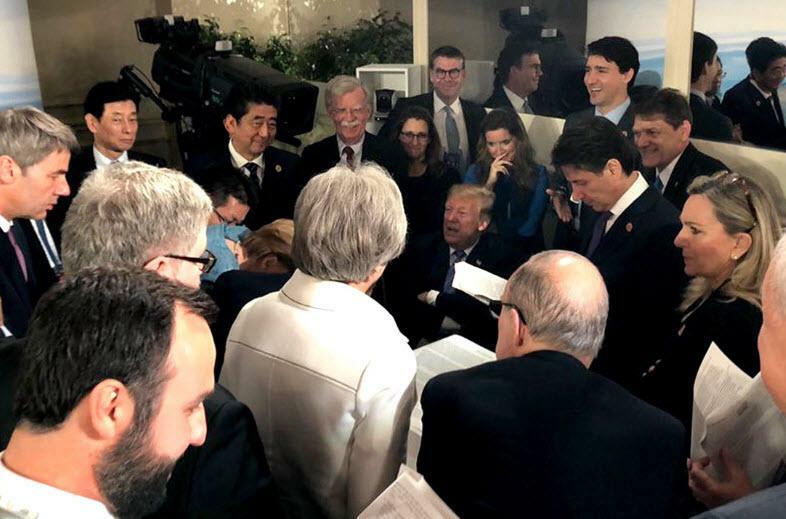 And finally, Canadian Prime Minister Justin Trudeau’s take was released with a wider frame, making sure the host, absent from most other images, was also visible -- standing next to Trump, no less. Something he probably regrets now. 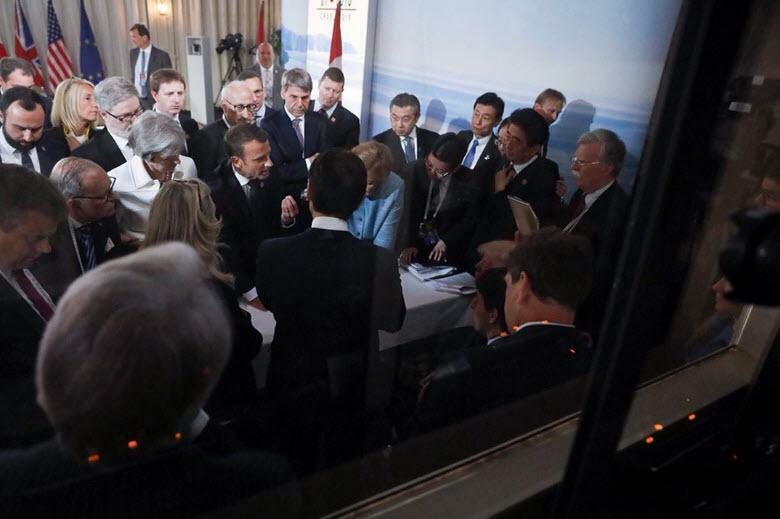 As Bloomberg so poetically concluded, the G-7’s true power it seems, lies in the angle of the beholder.